In Bangor Maine there are many do it yourself, individuals. 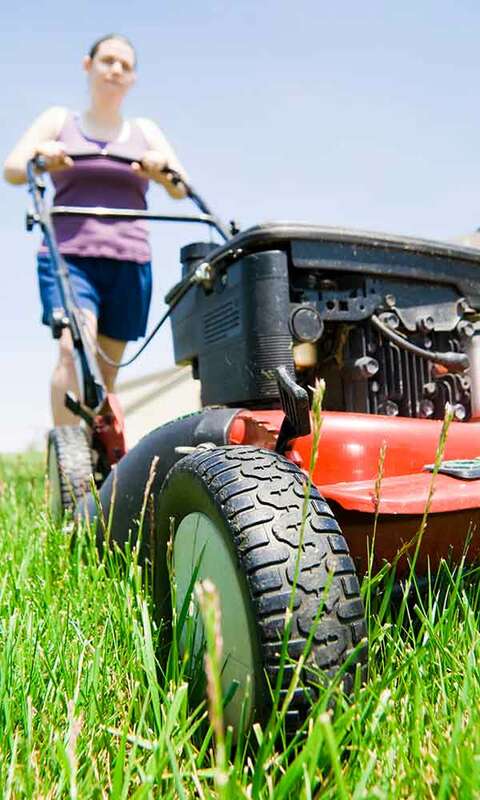 Pick and choose any of the following targeted lawn care programs and services. This allows you the flexibility of doing some of the work yourself and we’ll handle the tough stuff! If you like to fertilize your lawn but are not getting the results you are looking for, our biostimulant package will deliver results directly to the soil! By using highly refined organic based materials, we will visit your property 4 times per season and begin stimulating the bacteria, beneficial fungi, protozoa and more. 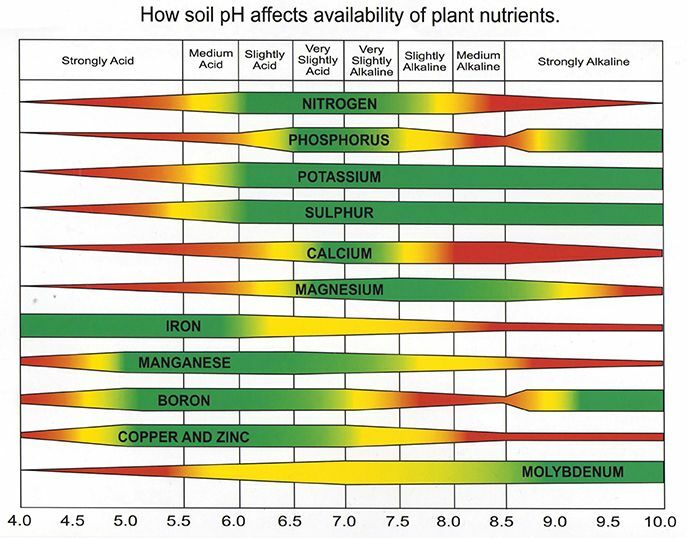 The life of your soil plays a vital role in the overall health and nutrient availability for your grass plants. You can manage the weeds and continue to fertilize your soil and we’ll provide the necessary carbon sources and organics to build the humus layer in your lawn. Confused? Just ask any farmer how important their soil is! It’s complex science that is vital to building a true soil food web! Our Magic Carpet program is a basic 4 step fertility package that allows you to choose any or all 4 service visits for our Maine growing season, all while managing the tough to get broadleaf weeds with each service. This is what you would get with a “franchise” based lawn service. It provides basic food for your grass plants while managing broadleaf weeds. However, you won’t be able to achieve true results as you would when you work synergistically by nurturing the soil food web. For that, you should look at our BUILD PROGRAM. Choosing to go this route we will still help you manage your turfgrass while getting our professional support and recommendations with each visit. 4 separate biostimulant treatments to the soil to drive root systems and activate soil biology. Deepens the organic layer & stimulates the plant to drive roots deeper. Harnesses the power of your soils microbiology to build dark rich soil. Releases unavailable nutrients allowing the plant to utilize what’s already there. On top of this, we will further customize your service line up with other recommendations such as Grub Management, Surface Pest management and other needs your lawn may require. After service inspection analysis delivered by email. Tips and educational emails. Courteous technicians who respect your property. 4 separate balanced fertility visits with spot broadleaf weed management. On top of this, we will further customize your service line up with other recommendations such as Grub Management, Surface Pest management and other needs your lawn may require. After service inspection analysis delivered by email. Tips and educational emails. Courteous technicians who respect your property. Preventive Grub Treatment Helps Avoid Damage. The word “grub” even sounds distasteful and it’s no surprise that the little lawn pests called grubs have become lawn enemy #1. Feeding activity of grubs hits its peak in fall and spring, spring is the perfect time for a preventive treatment. Beetles, particularly European Chafer and Japanese beetles, will be laying their eggs in your grass during the late summer and fall. The eggs will hatch as tiny grubs and disappear into the soil beneath your turf. Once there, they’ll quietly feed on the roots of your grass plants until cool weather. Next spring, they’ll start feeding again, before forming a pupa from which new beetles will emerge. The new generation lays eggs and the problem goes on and on. Left untreated, your lawn will start to suffer the visible damage grubs can inflict. Brown patches begin to form where the grass dies because roots have been chewed away. 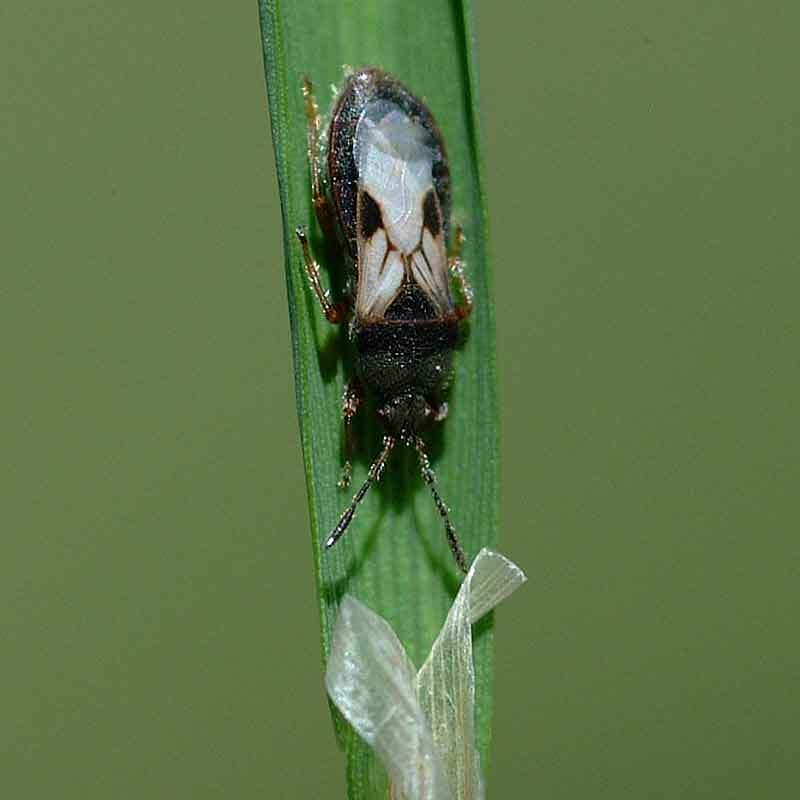 The infestation can be widespread on a lawn causing extensive damage to your property. The dead grass on grub-eaten areas eventually has to be removed and those areas reseeded or sodded. Without care, even the replanted areas are susceptible to further damage from the next life cycle of grubs. If you have had grubs or your neighbors have there is an 80% chance or greater that they will lay eggs in your lawn areas. You can check for grubs by grasping any brown patch in your hands and tugging. If the sod pulls up like carpeting, grubs have been at work. You might even see grubs on the underside of the turf if they’re finishing off their meal in that patch. In and around the home, ants, flies and mosquitoes are considered the “pestiest” of pests, because of the way they can spoil activities like back yard cook outs. But remember, a lawn–especially one that’s been weakened by hot summer weather can easily fall prey to insect problems that are unique to lawns. And it would be a mistake to underestimate the damage your lawn can sustain from insect pests. Tiny insects are hard to detect and they can cause brown spots and other damage to your lawn before you know it. Their eggs are near microscopic in size and the different stages of insect growth make it confusing to know what products to use and when to use them. Plan ahead and protect your lawn, home, children & pets! You literally wouldn’t wish fleas & ticks on a dog. Yet environmental conditions, proximity to woods and open fields and wildlife and pests (yours or your neighbor’s) near your home can lead to an infestation of these pesky and potentially harmful critters. 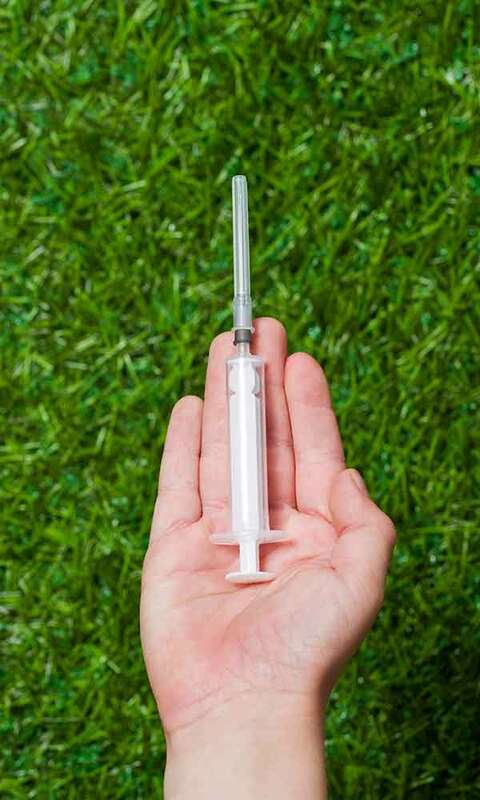 The good news is that our professional treatment service will help rid your lawn of fleas and ticks. Protect your home from these insects. Other stress factors you should know… Don’t forget: your lawn can also be trying to deal with a variety of summer stress factors, such as weeds, heat, heavy traffic or drought. The answer is to keep your lawn well-fed while you defend it against insects. Liquid Aeration is designed to break up and loosen topsoil and encourage deeper rooting to drive more oxygen into the topsoil profile. By utilizing key bio-stimulants and highly oxidizing material at key growth stages, Liquid Aeration will give you the “Breakthrough” your soil needs. Two treatments per year are recommended however, we can apply our liquid aeration up to 4 times per year for tough soils. Mechanical Aeration only addresses a small portion of the soil surface leaving 80% of the soil undisturbed. Driving roots deeper will crack the rest of the soil and with the aid of powerful oxygen adding ingredients, our liquid aeration will provide a dynamic shift in your soil. 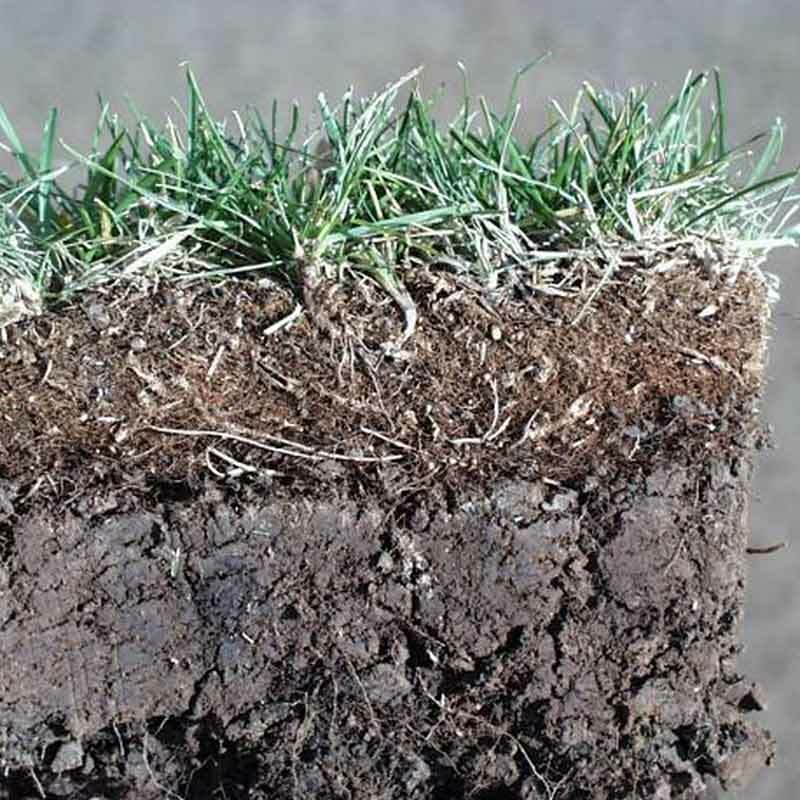 Drive your roots deeper, expand your soil like a sponge and grow healthier turfgrass with our liquid aeration. Our Thatch Digester reduces thatch build up in lawns that do not have the ability to be mechanically adjusted due to cultivar or time of the season. This service focuses on composting thatch faster by encouraging microbial activity at the soil surface and increasing heat. This exothermic release by increased soil microbial activity will break down thatch from the soil level up. Thatch is quickly reduced and the organic matter is captured as a food source for your turf. Depending upon the level of thatch in your soil, multiple treatments may be necessary. Lime “sweetens” your soil. In areas where the soil is naturally “sour” or acid, lime is extremely important to growing healthy turf. Lime improves lawn color and density helps control thatch and increases root development. Our lime application helps keep the chemistry of your soil in balance so that you can enjoy a thicker, green and healthier lawn. LIME AFFECTS COLOR, THATCH AND ROOT DEVELOPMENT When your soil pH is too low or acid, it needs lime to bring it back into balance. 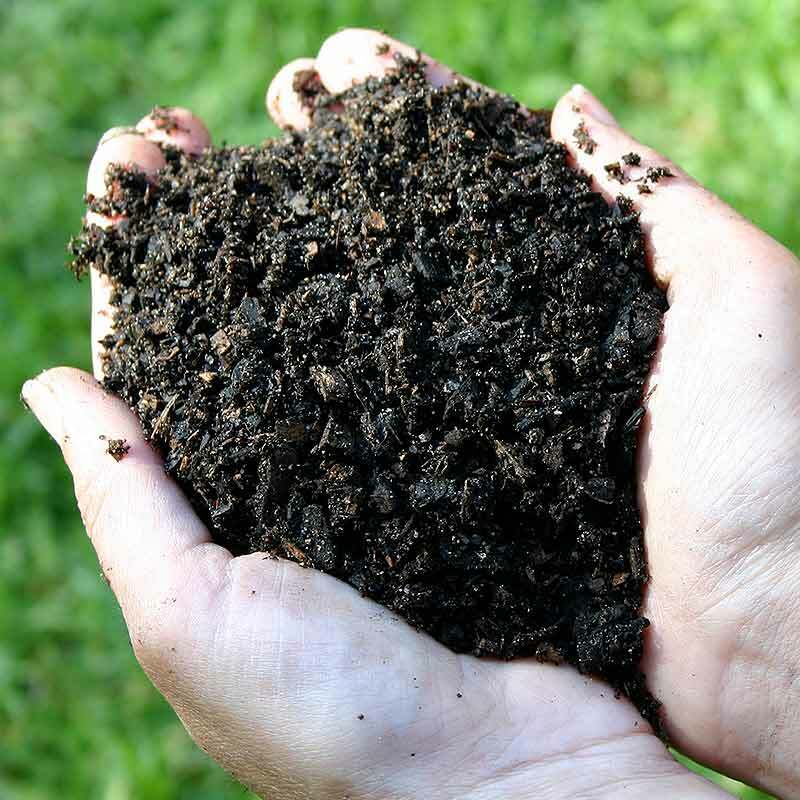 Soil that is too acid causes “fertilizer lock-up.” This means that fertilizer and important micro-nutrients become locked up in the soil and unavailable to grass plants. The result of this lockup is that grass becomes thin and yellow, thatch may build up faster and root growth slows down. A lawn in this condition is called “un-thrifty” because even when properly fertilized, it can’t make use of all the plant food applied to become thick and stay as green as it could. We suggest annual liming for acid soils. It helps everything we do work even better. That’s what makes lime such a great lawn value for you. Maintenance or corrective When the pH is off by a point or more it may be necessary to apply corrective applications. This may be required depending upon your pH result. We can test the average pH of your soil with a simple tool. However, it may be suggested to have a comprehensive pH analysis done which can be done for $35. Keeping a lawn “weed-free” takes more than just having a couple of herbicide treatments each year. Nature finds ways to make sure something starts growing in any lawn that has become too thin. Bare patches of soil quickly fill up with broadleaf and grassy weeds of all sorts. That’s why a healthy, thick stand of grass is the very best weed prevention there is. Below are a few facts you should know in winning your war with lawn weeds. The two basic kinds of weeds in most lawns are broadleaf and grasses. 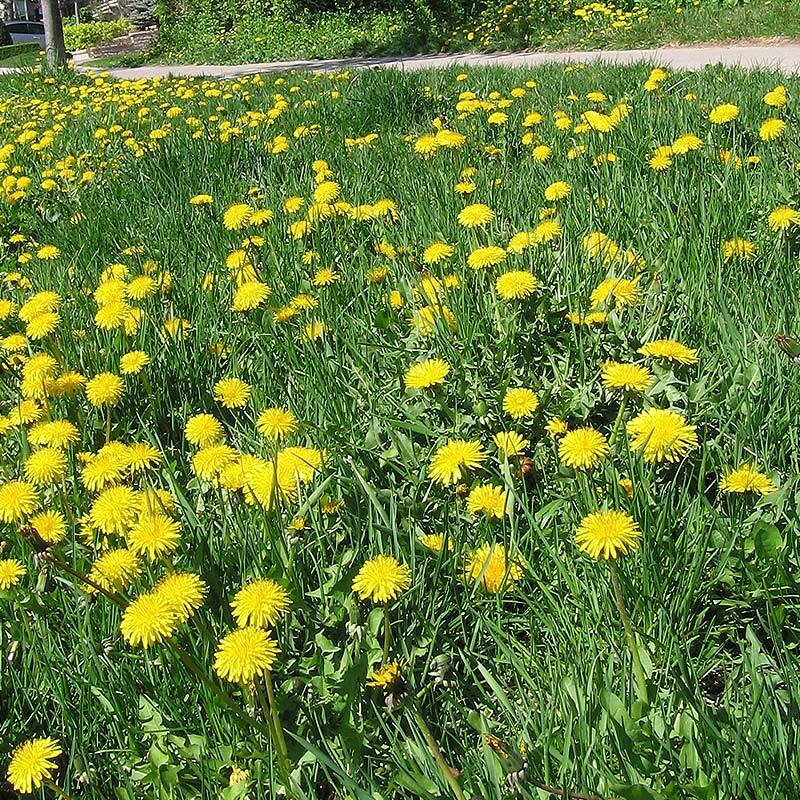 Dandelions and clover are broadleaf weeds, while crabgrass is a grassy type. There are also perennial and annual weeds with very different life cycles. Summer weeds have a thick, waxy coating that makes them the toughest to control. We have specialized approaches for controlling the various types of weeds common to lawns. Mow high Longer grass cuts off the light and warmth weeds need. Water Whenever weed control is applied, the results are much better when the weeds are actively growing. So, water if necessary at treatment time. Regular fertilization Regular fertilization is the best way to produce a healthy, thick stand of grass that can fight off invading weeds. Working together, we can keep your lawn beautiful and healthy while keeping most of the weeds out, too. We recommend a full lawn care program to control weeds. But, if basic weed control is what your looking for we can certainly to that as well. Two species of crabgrass are found throughout the semi-tropical and temperate zones of the U.S. – smooth crabgrass (Digitaria ischamum) and hairy crabgrass (Digitaria sanguinalis). Both are annual grasses that emerge in early to mid-spring and are killed by the first frost in fall. Crabgrass flowers throughout the summer and is a prolific seed producer. Crabgrass has one significant weakness in that the seed requires light to germinate. Consequently, a dense turf cover effectively resists invasion by crabgrass. 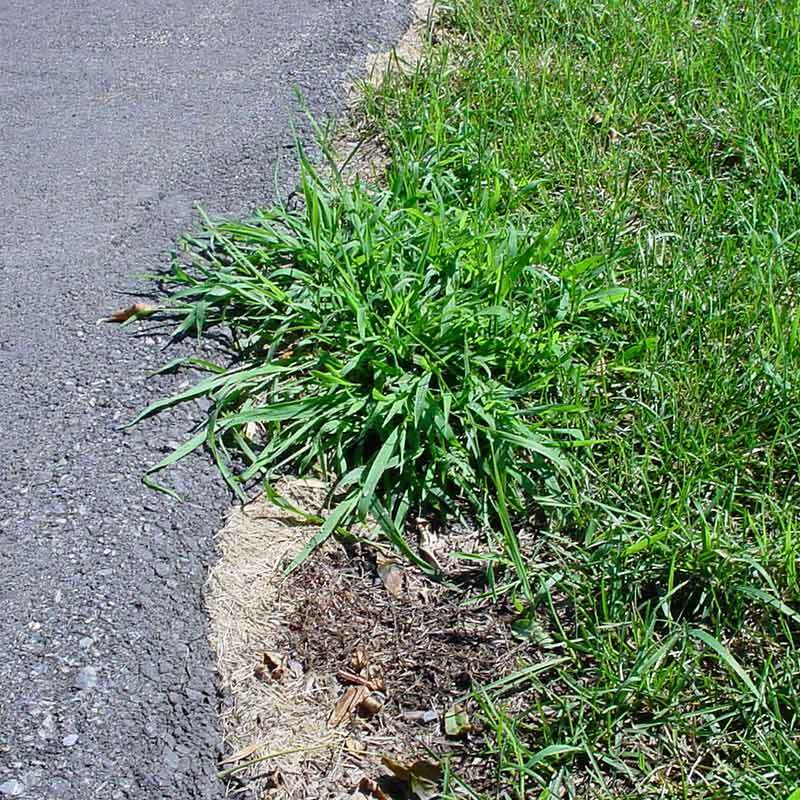 But, anything that weakens the turf during the spring and summer, such as disease, insect damage, traffic or winter kill increases the likelihood of a crabgrass invasion. Often, cultural practices such as aeration and de-thatching increase the crabgrass problem by exposing the seed to favorable conditions-sunlight, moisture, and high temperatures. Crabgrass management requires a sound turf maintenance program together with a planned fertility program. A dense turf is the best protection against invasion by crabgrass. Cultural practices that promote a dense, healthy turf include regular mowing and watering together with timely fertilization, aeration, and de-thatching. Pest management including insect and disease control is also essential to preventing crabgrass invasions. Since crabgrass germinates from April through September in most areas of the country (slightly shorter periods in other areas). All of these products should be applied about 2 weeks prior to the expected date of emergence of crabgrass. Since this date varies from North to South and from year to year, a specific date must be developed by turf managers from past experiences, climatic conditions and, perhaps, biological indicators. We provide Crabgrass management before germination and when it’s actively growing. What this means is that we have invested in the best products with minimal impact on the environment to provide you the best management possible. Our professional grade products allow us to apply it even after it germinates and still controls and prevents Crabgrass. Not to mention it prevents other broadleaf weeds as well reducing treatments necessary. Our normal treatment is applied in the spring and will prevent it all summer long. This is especially beneficial when your lawn has been compromised by grubs. Applying this in the spring will keep crabgrass out of the areas of damage allowing the lawn to grow normally. When September arrives you can then overseed the damaged areas and not have to deal with the crabgrass during seeding.